Our family is currently on a trip to Florida, and we are having a fantastic time soaking up the sunshine and warm weather. Packing for a trip with a toddler can be a bit hectic, especially when leaving a much cooler climate for a much warmer climate! The sudden change in weather always leaves our skin a bit shell shocked, to say the least. 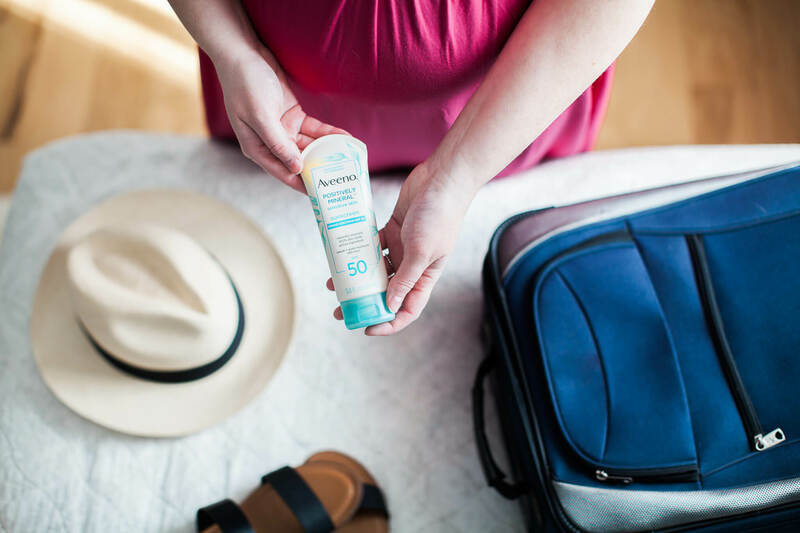 Our family has fair skin and after being hidden from direct sunlight for much of the winter months, the exposure to an abundance of sunshine on our vacation means finding ways to protect our skin and keep it hydrated. Prior to leaving for our trip, I took a spin through our local Walmart to stock up on skincare products. 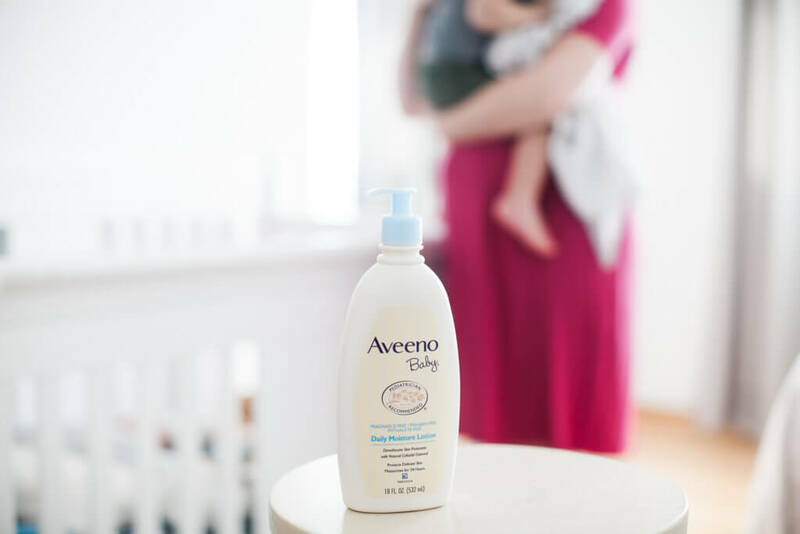 I grabbed Aveeno® Positively Mineral SPF 50 Lotion for all of us to utilize and Aveeno® Baby Daily Care Lotion for Rowan. 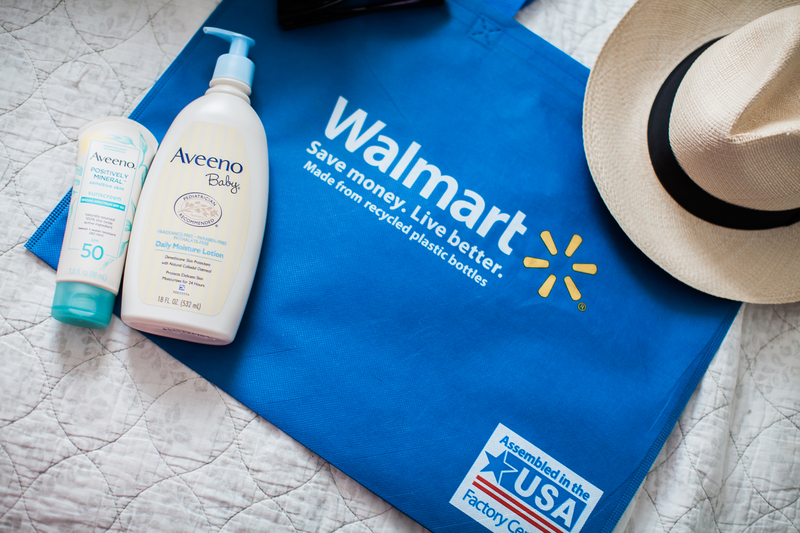 I love that Walmart carries an expansive assortment of Aveeno® skincare products. Many of the items are available to order online and have shipped to your home or just add to your Walmart grocery pick up—which is another huge perk of shopping at Walmart if you’re in a pinch and don’t have time to browse the aisles! 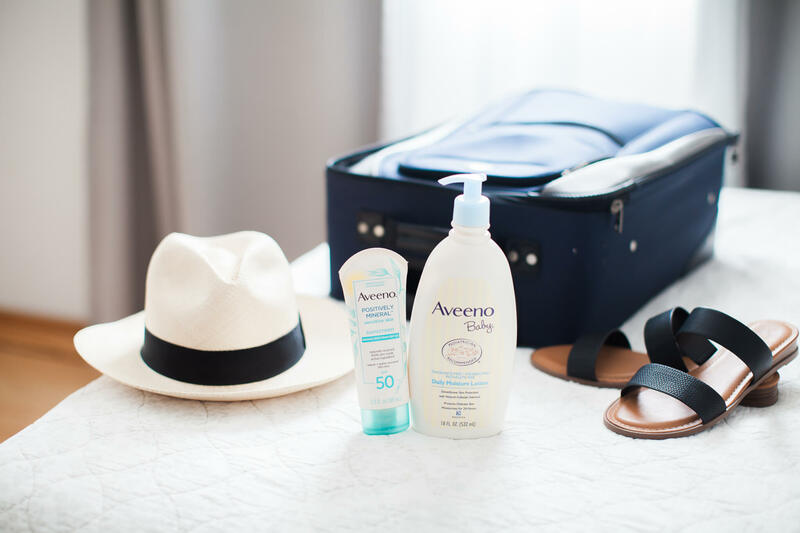 I also love that my favorite Aveeno® products contain ingredients that are real, such as oat, soy, feverfew, zinc, and rosemary. Rowan’s skin is sensitive and he’s had some eczema that will flare up from time to time; having a product that keeps sensitive baby skin in mind allows me to relax knowing I’m applying a product that produces great results! Right now you can save up to $20 on participating Aveeno products—click here to snag the coupon! An important day to make sure to mark on your calendars is Monday, April 22: Earth Day! Everyone likes to celebrate Earth Day in their own way and for our family, it’s about preparing our yard or garden for spring and summer, picking up trash along our favorite spring hiking and biking spots, and being conscious about utilizing reusable bags while doing our shopping. I’m a firm believer that small yet intentional choices to help aid in the healing of our environment and earth go a long way. We can all do our part and contribute to the greater good of our planet through simple lifestyle changes!